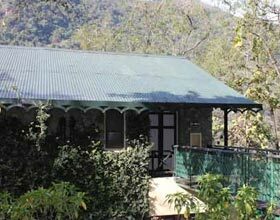 Address: Chila Range, Shyampur Noamabad, Near Rajaji National Park, Haridwar, Uttarakhand 249408 India. Aalia Hotels & Resorts has 36 guestrooms at feature iPod docking stations and minibars. In addition to safes, guestrooms offer direct-dial phones. Aalia Hotels & Resorts features a restaurant and a bar/lounge. Aalia Hotels has full-service health spa on site. The hotel offers a conference meeting room and audiovisual equipment. Complimentary wireless Internet access is available in public areas and the resort has an Internet point. For a surcharge, the property offers a roundtrip airport shuttle at scheduled times. 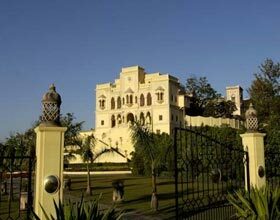 Aalia Hotels & Resorts is located in Haridwar near Mansa Devi Temple and Har-ki-Pair Ghat .